The Department of Physical Therapy in Samford University's School of Health Professions is now accepting applications for the inaugural cohort in the Doctor of Physical Therapy (D.P.T.) program*. Accepted students will begin courses in summer 2015. Admission to the D.P.T. program is highly competitive based on GPA and GRE scores. Applicants must hold a baccalaureate degree or be in their senior year of undergraduate study and must meet course prerequisites and other criteria outlined on the department's website. All applicants will apply online through Samford's Central Application System. The D.P.T. is a three-year program defined by three core traits: teamwork, technology and service. Health care today is increasingly provided by teams of professionals and D.P.T. students will learn by working in collaboration with people from a variety of programs. Lectures, labs and clinical experiences will utilize the latest technology for education and support while providing care. Service is at the heart of all activities within the department, thus students will be provided numerous opportunities to use their skills and talents to make the lives of people better. "The curriculum and department-related activities are rooted in Samford's core values," said Matthew P. Ford, associate professor and chair of the Department of Physical Therapy. "Foremost will be service to God, to family, to one another and to the community. We are committed to promoting personal and professional growth, with the aim that each graduate becomes a service leader in his or her community," Ford added. To learn more about the D.P.T. 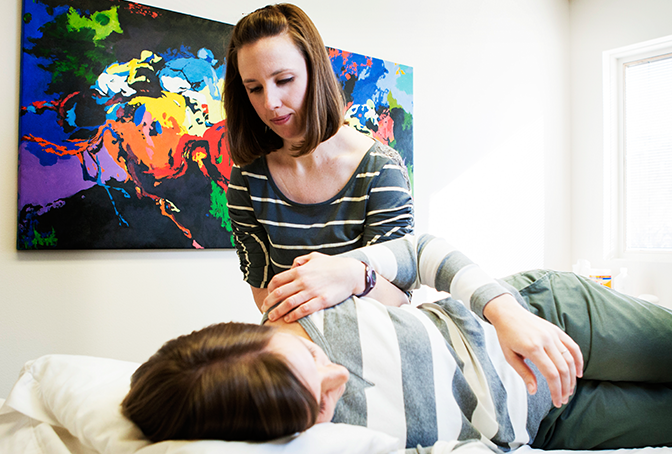 program, please visit http://www.samford.edu/healthprofessions/physical-therapy. *Graduation from a physical therapist education program accredited by the Commission on Accreditation in Physical Therapy Education (CAPTE), 1111 North Fairfax Street, Alexandria, VA 22314; phone 703-706-3245; accreditation@apta.org is necessary for eligibility to sit for the licensure examination, which is required in all states. Samford University's Department of Physical Therapy is seeking accreditation of a new physical therapist education program from CAPTE. The program will submit an Application for Candidacy, which is the formal application required in the pre-accreditation stage. Submission of this document does not assure that the program will be granted Candidate for Accreditation status. Achievement of Candidate for Accreditation status is required prior to implementation of the professional phase of the program; therefore, no students may be enrolled in professional courses until Candidate for Accreditation status has been achieved. Further, though Candidate for Accreditation status signifies satisfactory progress toward accreditation, it does not assure that the program will be granted accreditation.